Tuner Minute #28 – Hang on! Theme song graciously provided by Beatnik Turtle. Want to share your thoughts on this topic or read what other people think? The forum discussion there is here. Click here to download the segment. You can listen to the episode now by using the ‘Play’ button below. Quick Reviews: Primeval (4/18), Chuck (4/20), Heroes (4/20), Medium (4/20), Fringe (4/21), Krod Mandoon (4/22), Smallville (4/23), Supernatural (4/23), Ghost Whisperer (4/24), Dollhouse (4/24), Caprica Pilot on DVD. Listener voicemail response to Tuner Minute “Don’t I Know You?”, Listener voicemail question: What TV show DVDs would you buy with a $50 gift card? 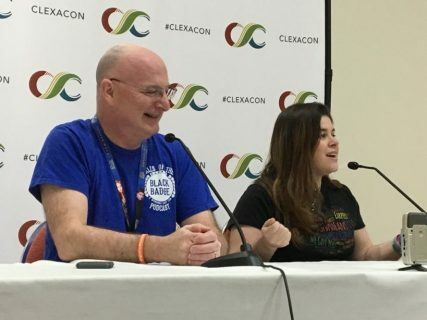 ABC gives series order to Flash Forward, Flash Forward to be teased in Lost’s 100th episode, Which sci-fi TV pilots will live or die? 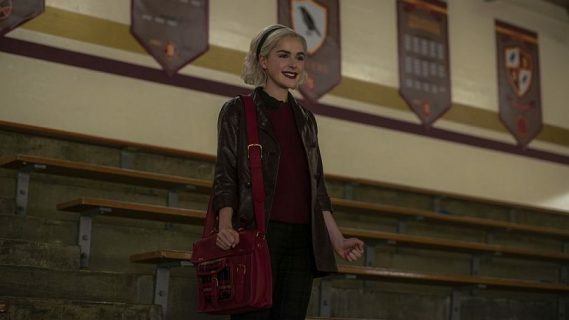 Will Smith developing a movie with SciFi, SCI FI unveils summer schedule, Eureka returns July 10; Poster for True Blood season 2, True Blood casting news, Fewer episodes next season for Heroes, Bryan Fuller talks Heroes season finale. Tuner Minute – Double Standards Share your thoughts on this topic or read what other people think? Join in the forum discussion here. Hosted by Wendy Hembrock, Brent Barrett and Kevin Bachelder. Recorded on 4/26/09. Promo for Geek Spin podcast. Quick Reviews: Primeval (4/11), Doctor Who (4/11), Red Dwarf mini-series, Chuck (4/13), Heroes (4/13), Medium (4/13), Saving Grace (4/13), Reaper (4/14), Fringe (4/14), Lost (4/15), Krod Mandoon (4/15). Ed Quinn (Eureka) cast in True Blood season 2, Doctor Who changes behind the scenes, Fringe’s Observer will appear on other Fox shows, Demons gets cancelled, What show would you save? Tuner Minute – Why SciFi? Share your thoughts on this topic or read what other people think? Join in the forum discussion here. Hosted by Wendy Hembrock, Brent Barrett and Kevin Bachelder. Recorded on 4/18/09. Promo for The Signal – a Firefly/Serenity podcast. Tuner Minute #26 – Why SciFi? Quick Reviews: Primeval (4/4), Chuck (4/6), Heroes (4/6), Medium (4/6), Saving Grace (4/6), Reaper (4/7), Fringe (4/7), Lost (4/8), Krog Mandoon and the Flaming Sword of Fire (4/9), Terminator:Sarah Connor Chronicles (4/10), Ghost Whisperer (4/10), Dollhouse (4/10). ABC slates Pushing Daisies’ final episodes, Sanctuary begins season two production, The Guild (season 1 & 2) up for pre-order, Fringe beams up Spock, Fringe’s code is cracked, Red Dwarf new series premieres in the UK, Dollhouse Season 1 DVDs will be released July 28, The so-called Dollhouse episode 13, Maureen Ryan suggests Where should Whedon go for his next gig, Joss Whedon receives a humanitarian award from Harvard. Tuner Minute – Don’t I Know You? Want to share your thoughts on this topic or read what other people think? Join in the forum discussion here. Hosted by Kevin Bachelder, Wendy Hembrock, and Brent Barrett. Recorded on 4/11/09. Promo for Adventures in SciFi Publishing. Tuner Minute #25 – Don’t I Know You? Quick Reviews: Legend of the Seeker 3/28, Chuck 3/30, Heroes 3/30, Medium 3/30, Reaper 3/31, Lost 4/1, Smallville 4/2, Life on Mars 4/1, Supernatural 4/2, Terminator: Sarah Connor Chronicles 4/3, Dollhouse 4/3. True Blood Season 2 preview, Episode names for remaining Supernatural episodes, Will Supernatural end with Season 5?, Laurell K. Hamilton’s Vampire Hunter series coming to IFC, Fox schedules the remaining Dollhouse episodes, Legend of the Seeker returns 4/25, Pushing Daisies DVD on 7/21, SyFy to air Primeval starting 4/10. 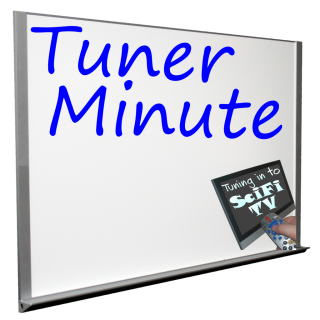 Tuner Minute – My Show or Your Show? Want to share your thoughts on this topic or read what other people think? Join in the forum discussion here. Hosted by Wendy Hembrock, Brent Barrett, and Kevin Bachelder. Recorded on 4/4/09. Promo for Personal Effects:Dark Art by J.C. Hutchins. Tuner Minute #24 – My Show or Your Show? This Tuner Minute was inspired by this article. Quick Reviews: Legend of the Seeker 3/21, Chuck 3/23, Heroes 3/23, Medium 3/23, Saving Grace 3/23, Reaper 3/24, Lost 3/25, Smallville 3/26, Supernatural 3/26, Terminator: Sarah Connor Chronicles 3/27, Dollhouse 3/27. Sci Fi plans three miniseries – Alice in Wonderland remake, Riverworld and The Phantom, More details on BSG:The Plan, Previews for Caprica, Stargate:Universe and Warehouse 13, ABC’s Life on Mars series finale next week. Want to share your thoughts on this topic or read what other people think? The forum discussion is here. Hosted by Wendy Hembrock, Brent Barrett, and Kevin Bachelder. Recorded on 3/28/09. Promo for SciFi Talk podcast. Donations are used for podcasting expenses only. Your browser does not allow you to vote in our polls.